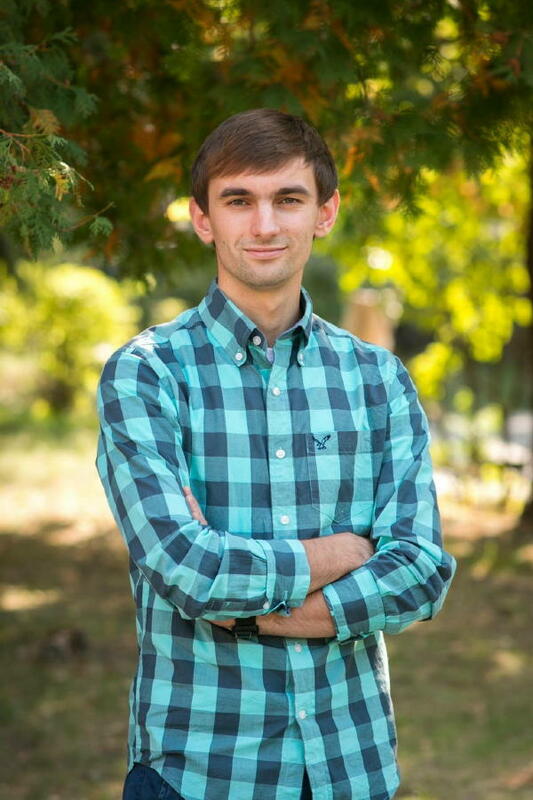 Vladislav Yurishko and a young adults group in Khust, Ukraine have been helping disadvantaged people in their community from 2016 to 2018. 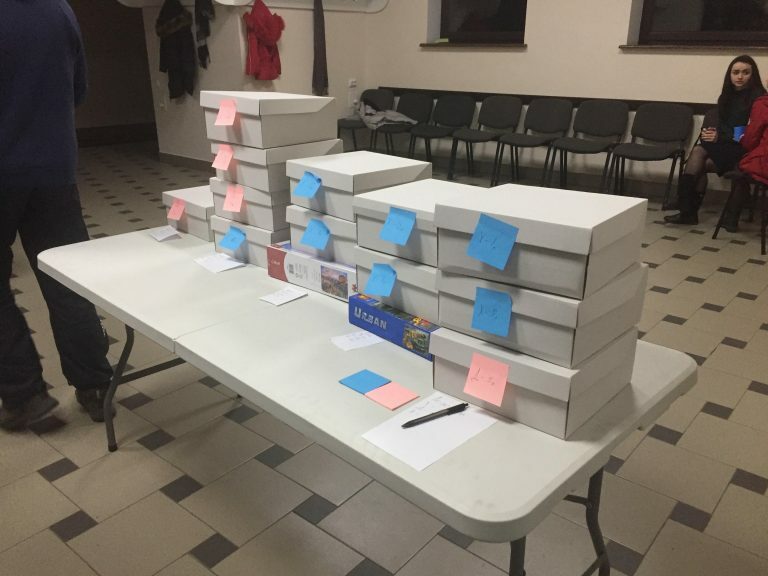 They have helped in the town of Khust and in the village of Kriva Here are some photos and descriptions of their activity. Financing in large part has been provided by LifeNets. "We are very thankful to God for the opportunity to be His children working for expanding His Kingdom and helping the needy as Jesus Christ taught. 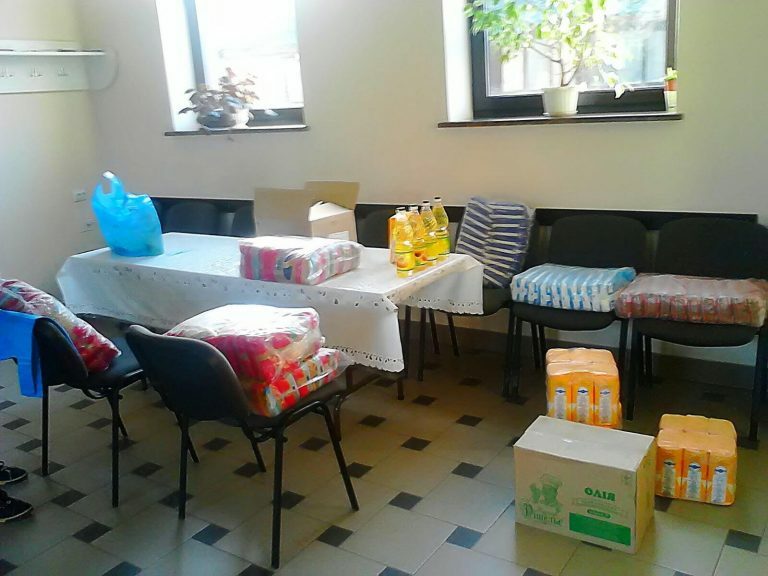 We are also thankful for the charitable organization LifeNets which has not been insensitive to the needs of difficult conditions in Ukraine. "We are only helping a very few because of the resources that we have, we decided to help the few on a more consistent basis to make a difference." 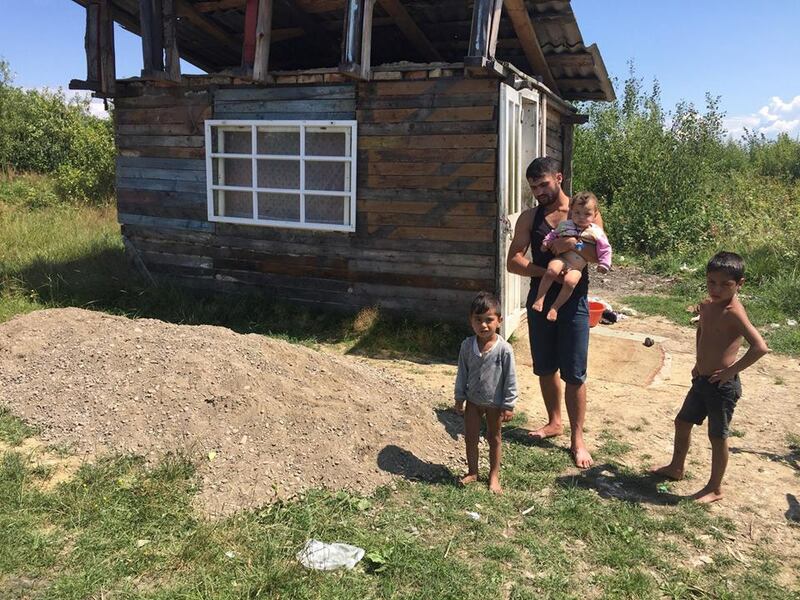 Here is a young widow Zhenya and her five-year-old daughter Dasha in the village of Kriva, in Transcarpathia. Her husband died tragically as he was trying to earn some money for his family. 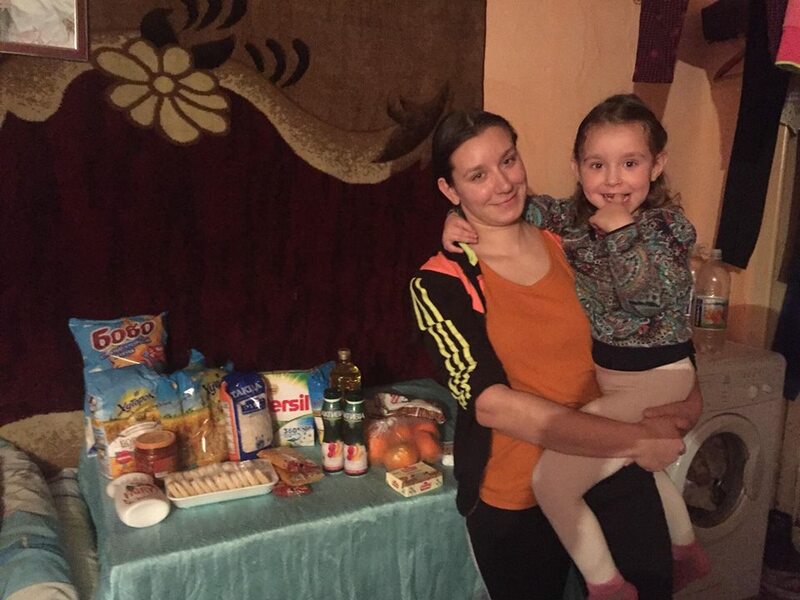 The young daughter Dasha needs to be cared for and Zhenya is not able to find consistent work. So, she does seasonal of selling mushrooms and fish and other odd jobs for neighbors.r with a little bit of money. 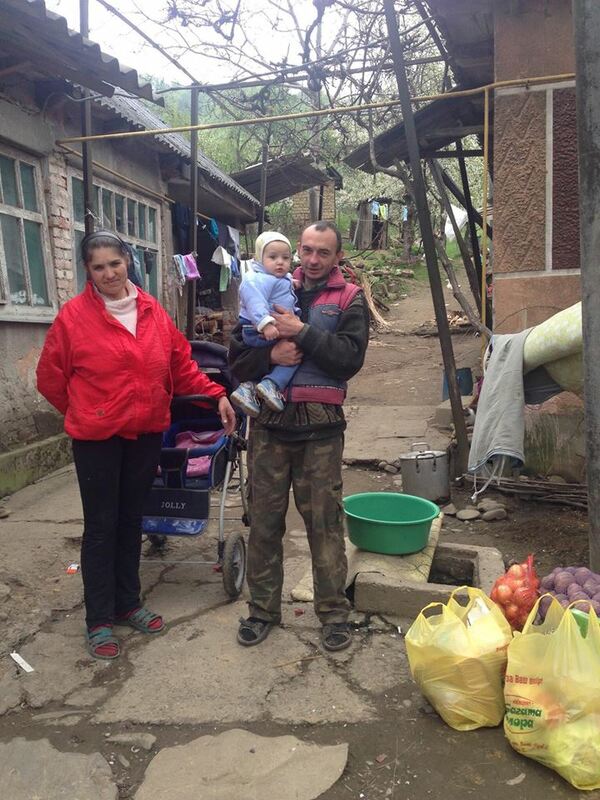 Here is the family of Romi and Svitlana who have five children (four shown) in Khust. 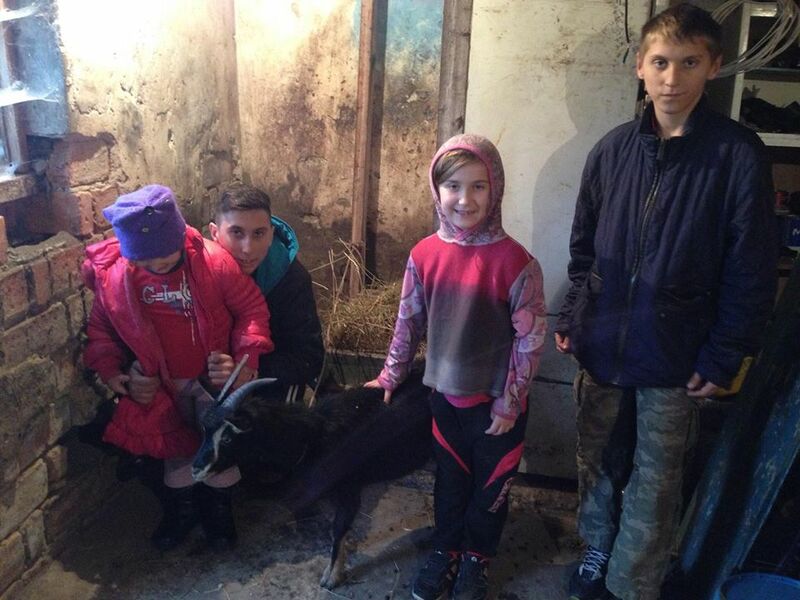 We also helped them with food, but also bought them a goat to provide milk as well as sell it to others. 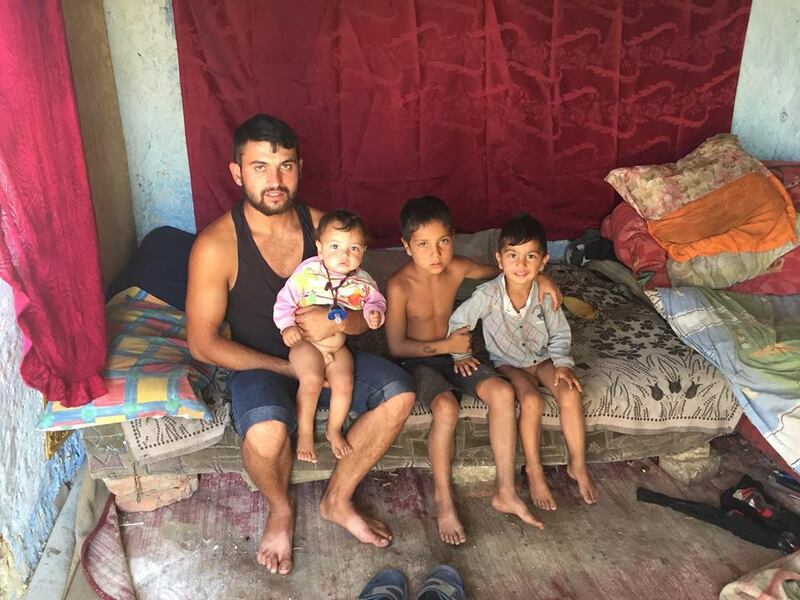 Last summer (2017) we helped the large family of Ivan and Maria to pour a cement floor in the home that he built and protect it from water seepage. 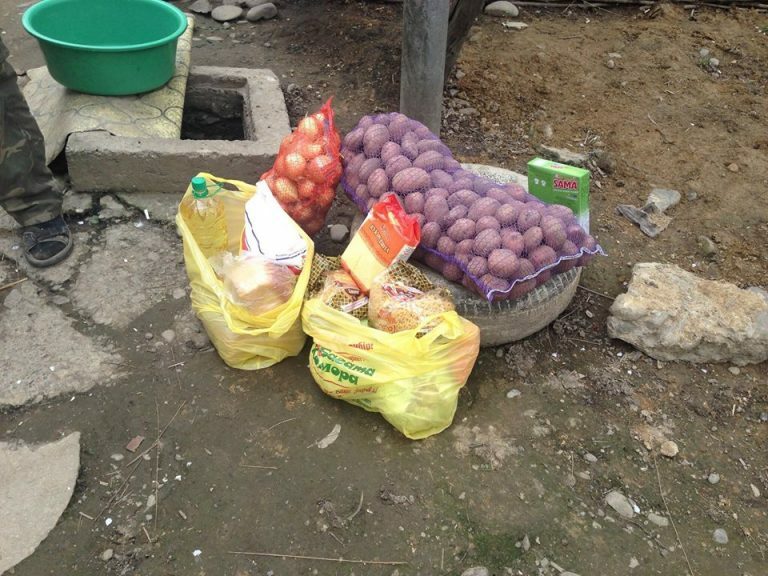 We also helped Ivan and Maria's family with food. 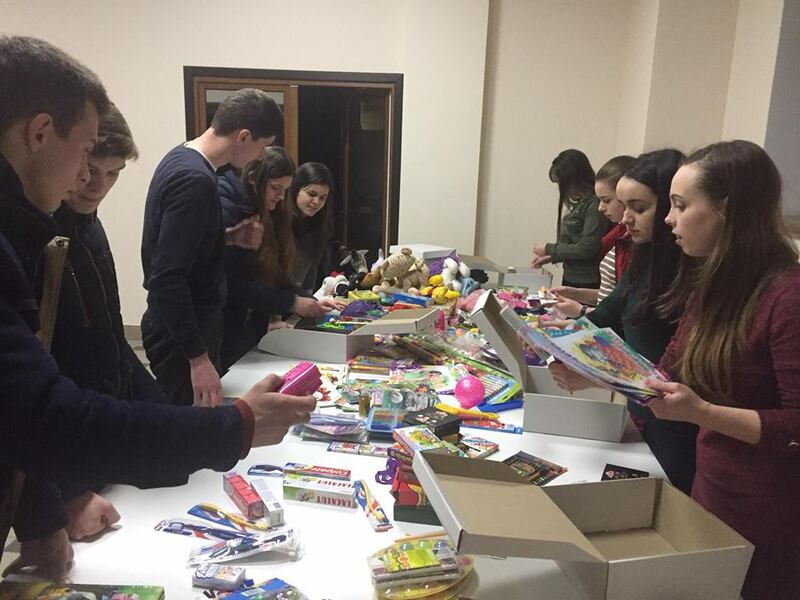 In the winter we prepared care packages for families with many children. 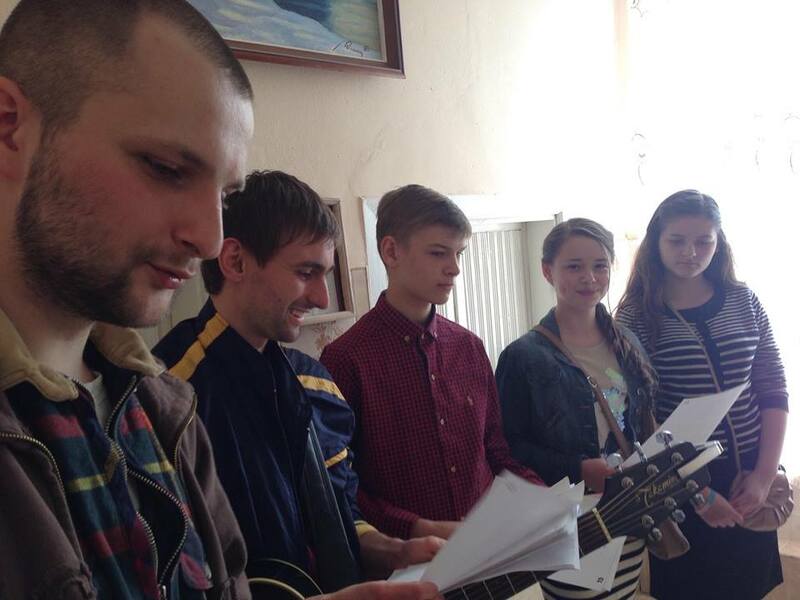 The young people in our congregation wanted to do something special for the children and it really turned out nicely. We we were planning this project, one of the goals of this project was to give children the kind of gifts that we would dream of in our childhood. Part of the expenses were personal, part was from LifeNets. 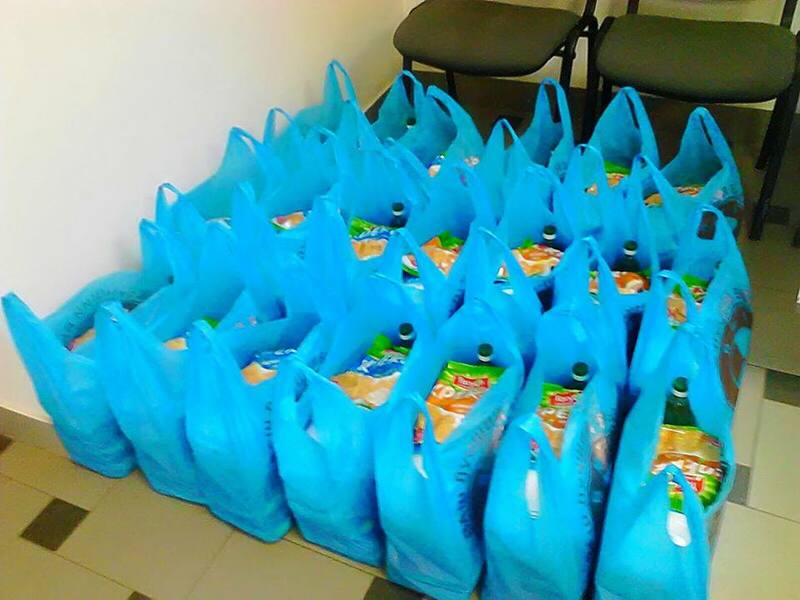 Our group provided staple foods for them. 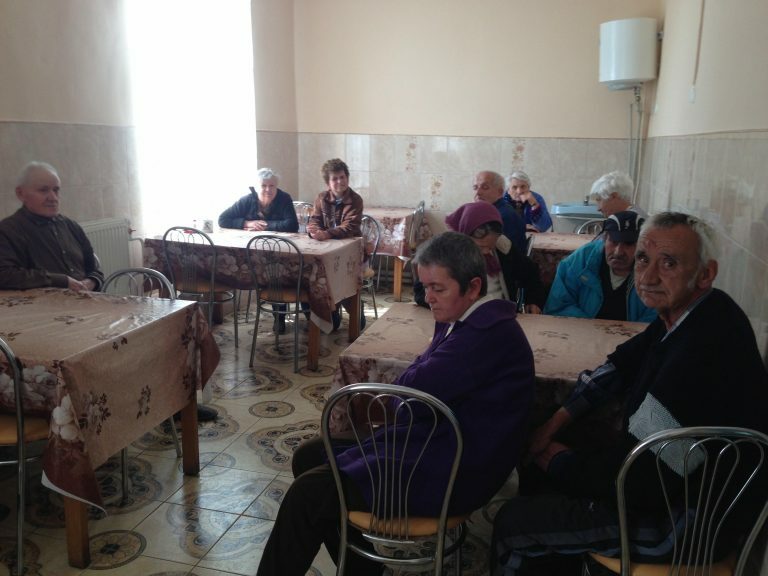 We, as young people have gone to visit and spend time with elderly people. We sing for them and bring delicious snacks. 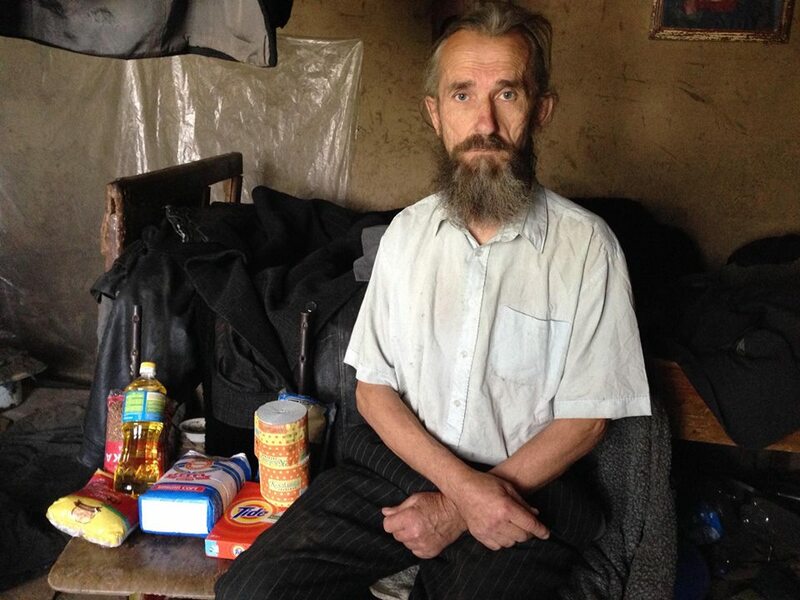 In the village of Nizhne Selishche we became acquainted with Ivan who lives alone and needed money for medication for his leg. In addition to the medicine we bought some food. He was happy and thankful to God that there is an organization like LifeNets from whom he received help.